One Eternal Day: "Duty bravely performed"
.... In his Victorian study of the monarchy, Walter Bagehot warned, "We must not let daylight in upon magic." Modern communications do just that. 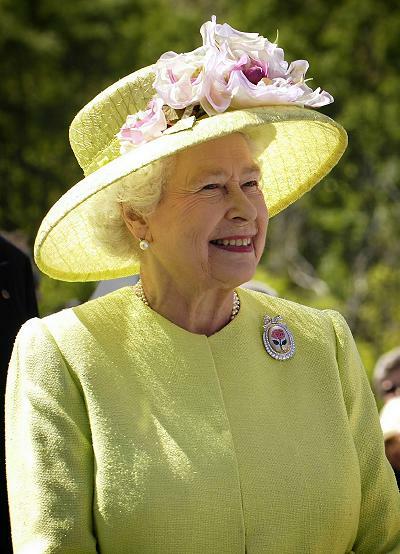 Sometimes for the best—we know that the Queen is a brave and resourceful woman. In 1982, she calmed down a madman who had gained entry into her bedroom at Buckingham Palace. She is unaffectedly religious. She is devoted to her duty, not as a prisoner of ritual but as a practical sovereign working to preserve the monarchy as a focus of multicultural loyalty in a diverse world—and succeeding beyond any reasonable expectation. Sometimes not for the best—a late threat to her success was the antics of the younger royals, notably Princess Diana, and the Hollywood cult of celebrity that seduced them. Celebrity and monarchy are natural enemies. The first is about enjoying fame; the second is about performing duties. Elizabeth always realized the distinction. Her third prime minister, Harold Macmillan, wrote of her decision to ignore a terrorist threat: "She is impatient of the attitude towards her to treat her as…a film star.... She loves her duty and means to be a Queen." For a moment around Diana's funeral, it seemed that this dutiful woman had lost ground to the glamorous "people's princess." But the febrile mood passed; the monarchy recovered its nerve. And when the Queen Mother died, her highly traditional funeral showed people rallying to the more solid ideal.